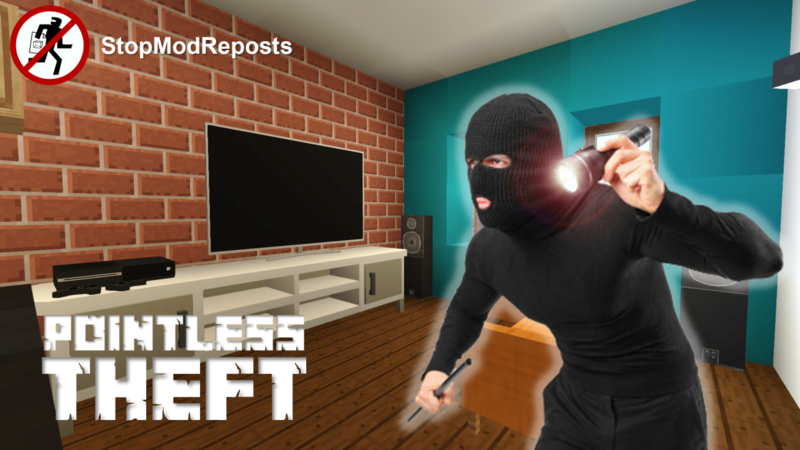 Nope, 'Pointless Theft' isn't a new mod I'm working on, I have chosen this as the title of this blog because the subject of this revolves around theft, or more specifically.. content theft. For anyone who has seen or downloaded any of my content, you'll understand how much detail is put into each one and agree that each one takes up a lot of time and effort. I don't have to do this, but I choose to do so because I enjoy making them, I enjoy sharing them with you guys and I enjoy reading your comments. 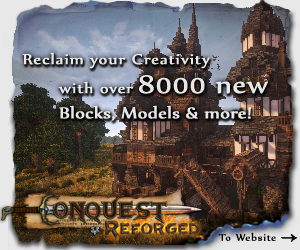 I don't make any money on any of my content, I don't make any revenue from downloads, I don't make any money from YouTube and I've not even had enough downloads on CurseForge for a gift card. I don't care though because I was never in this to make money, I do this for free, for enjoyment and for the benefits of contributing content to the community. Unfortunately, there are people out there who take advantage of that, people who take your content and use people like you to make money from it. I know this because I see it all the time, a quick google search and I can find at least 10/15 different sites hosting my mods with downloads linked to ad-fly's, some of these credit you, some don't. Either way.. its theft. I don't mind my content being shared, I make it free so it can be downloaded and shared by anyone who is interested, that's fine but its not fine to make money from it. I'm the one spending many hours a night making this content and if I don't make any money from it then nobody else should be. The people who re-post these on their own website literally spend a minute uploading them, they don't even write their own description but copy yours and then they're making bank!. I don't know how much these people make, I've never looked into it and to be honest I wouldn't want to know because it would make me feel sick, but whether its $ or $$$ or even $$$$$, its not fair and it's theft. Recently I started a YouTube channel (90TV) so that I could share videos of my content, I regularly check the analytics and it can tell me so much including where many of my videos are embedded, it gives me a huge lists of websites which are 're-posting' my mod. All of which are monetising on my content. My aim with this blog wasn't to rant too much but to raise awareness of what happens to your hard work when it gets in the wrong hands. I follow a group called 'StopModReposts' who provide a lot of information about some sites and what you can do, they're worth checking out and if you do come across sketchy sites you can request for them to be added to their expansive list of dodgy content stealers. If you see my content anywhere else, don't download it, and don't download others as well as you are putting money in someone else's pocket and they don't deserve it and also you cant guarantee that download is safe from malware. WHOOOOOOOA DUE IM FIRST BROO GOT ANY METH MODS TO RECOMMEND DUDE?